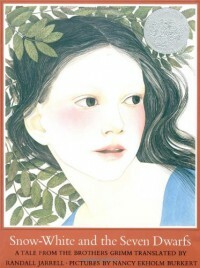 Unique retelling of Snow White, but might be dark for young children. Same fairy tell but true to the Grimm Brothers version, while children might be looking for the happy Disney telling. There are beautiful pictures, but the big blocks of text in between made my lose interest in the story and I think will lose the interest of small children as well.